"Please be wary if someone approaches you and wants to pay you for links or 'advertorial' pages on your site that pass PageRank [sharing your site's authority with the site you link to]. Selling links (or entire advertorial pages with embedded links) that pass PageRank violates our quality guidelines, and Google does take action on such violations. The consequences for a linkselling site start with losing trust in Google's search results, as well as reduction of the site's visible PageRank in the Google Toolbar. The consequences can also include lower rankings for that site in Google's search results." Just this past January, Google penalized UK floral site Interflora for buying advertorials on over 150 UK newspaper sites as part of its promotion leading up to Valentine's Day. In fact, the newspapers themselves were penalized as well. Since then, reparations have been made, and Interflora is back in Google's good graces -- but only after they had been erradicated from Google's search results for over a week. At this point, you may be experiencing the shakes or cowering in fear over the ramifications of your sponsored content placements. But don't fret. As with all things Google, there are guidelines. And if you follow the guidelines, you'll have nothing to worry about. "If your site mixes news content with other types of content, especially paid advertorials or promotional content, we strongly recommend that you separate non-news types of content." So what, exactly, is promotional content? Google defines promotional content as "affiliate, promotional, advertorial, or marketing materials (for your company or another party)." Sponsored content and native advertising certainly fall within that description. So what can marketers and publishers do to ensure their sponsored content doesn't run afoul of Google News' quality guidelines? A few things -- none of which are terribly difficult. So read on, content creators, and all will be right with the world (and with Google). This option suggests placing all of your non-news (sponsored) content on a separate host or directory so the Google crawler will be able to distinguish between these different content types. Care should also be taken when internally linking from one section of your site to another. Google News notes that, when its crawler scans the section of your site that contains news content, it may find links to other non-news content that may not meet its guidelines for News inclusion. Use caution when linking between the two. If you create a Google News Sitemap for your news articles only (which you can easily do if you separate sponsored content from news content as mentioned above), you can automatically inform Google you'd prefer to have news articles crawled exclusively through your sitemap. Once you've created it, notify Google. "Sponsored" is the name of the directory in which all your sponsored posts will reside. For more information about the robots.txt file, check out this section of Google's Webmaster Tools. If you want more granular control over which sponsored content is blocked from Google News (or Google -- a good approach for separating blog content), you can use META tags to block the Google News crawler from following links to specific pages. META tags are small pieces of code that are placed within the section of a web page. A "noindex" tag informs search engines that the page should not be indexed in its search results (but links on the page will be followed and indexed). A "nofollow" tag informs search engines not to follow a link on a page or transfer PageRank value to the site being linked to (but the page itself will be indexed). *Use googlebot-news if you only want the rule to apply to Google News. If you use WordPress, these tags can be easily applied on a post by post basis using the WordPress SEO Plugin or the All in One SEO Pack. It's important to note that adding nofollow tags to your pages does not make them invisible. From Google's own Webmaster Tools page on the topic, Google explains how it handles nofollow links, saying, "In general, we don't follow them. This means that Google does not transfer PageRank or anchor text across these links. Essentially, using nofollow causes us to drop the target links from our overall graph of the web. However, the target pages may still appear in our index if other sites link to them without using nofollow." While it would seem marketers and publishers should do everything they can to get as many people to see their content as possible, skirting these guidlines and running afoul of Almighty Google will, ultimately, do more long term harm and irradicate any short term gain that may have been achieved. 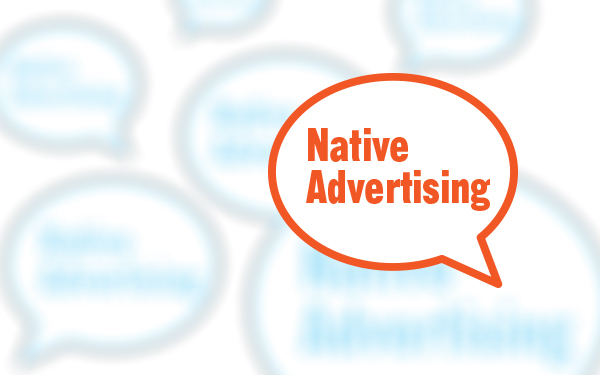 If you are a publisher or a marketer using sponsored content of native advertising to promote, we highly recomend you follow Google's guidelines to the letter.